Can be dyed to customer specifications. Absorbent mats are made from 100% cotton twisted fibers. They may be used around machines, pipes and work stations where oil, grease or any liquid may need to be contained. They may also be used in preventing slip hazard situations on floors. Kleen Tech has the capability of processing customer owned product by these categories. We utilize a water wash process for industrial gloves. This includes nylon, cotton, ANSI cut level, Kevlar, Nomex and ATA (Advanced Technology Armor) gloves. Leather gloves are not included. 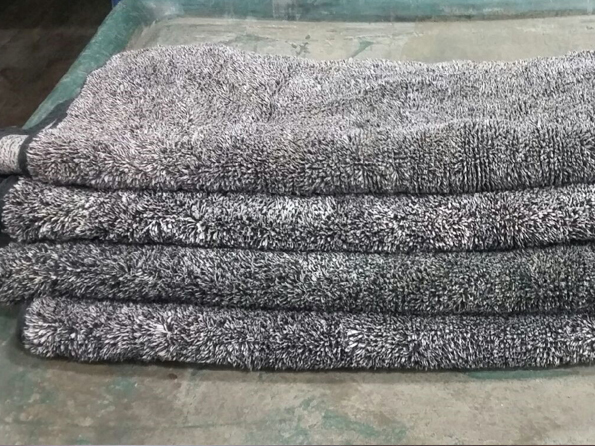 The cleaning process can include separation, inspection to uphold customer’s quality standards and also pairing of product after the cleaning process according to customer request. Click here to download our Glove Cleaning Flyer.